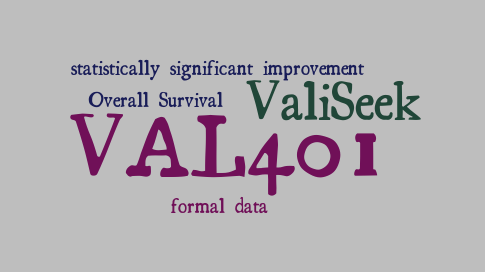 Dr Suzy Dilly, CEO of ValiSeek provides a positive update on the clinical progress of VAL401, the anti-cancer compound. The Company has released positive formal data pertaining to disease impact. The results demonstrate that the VAL401 treatment has a statistically significant improvement in Overall Survival for patients with non-small cell lung cancer compared to those receiving no treatment.